Creating a true omnichannel experience is often referred to as the “holy grail” for brands and retailers, as fewer shoppers today rely solely on a single channel when making a purchase. A Harvard Business Review study of just over 46,000 shoppers revealed that omnichannel retailing works. While retail sales through digital channels continue to increase, only 7% of the more than 46,000 study participants were online-only shoppers, while 20% were in-store-only shoppers. That means nearly three-quarters of today’s consumers use a combination of channels to buy goods and services. The importance of omnichannel is further emphasized by the Dotcom Distribution 2017 eCommerce Study. The findings revealed that a positive omnichannel experience can leave a lasting impression and creates repeat customers. Similar to all business practices, an effective omnichannel strategy must be built on a strong foundation. Here are three main pillars of omnichannel transformation that brands can build on. The first pillar focuses on three ingredients to any successful company – people, process, and platform. People – There is an old adage that a company is only as good as its employees. To seamlessly blend all channels, it is vital that none of these channels are competing with each other for sales. To accomplish this, a company’s team must support the end goal at every level. Larger retailers have hired multitudes of employees to support their omnichannel strategy, but that may not always be an available option for emerging brands, which is why it is usually up to leadership to get the best out of the team it has built. This can be achieved with proper training and big picture incentives that not only create an environment that allows workers to reach their full potential but also rewards them for their success. Process – In addition to altering the organizational structure, the actual processes that enable cross-channel competition must be removed. In their place, retailers and brands should implement processes that focus on the needs of the customer as the priority, rather than the wants of each silo. Outdated strategies may have worked in the past, but they likely will not support the goal of blending every channel. Platforms – Even with the proper plans and team members, emerging brands may not be able to meet the many demands of omnichannel without the right technology. Though the exact programs used will vary depending on the retailer, the staples typically are Enterprise Resource Planning (ERP) systems, Order Management Systems (OMS) and Customer Relationship Management (CRM) systems. These allow brands to report and manage vital information that can be used to make intelligent decisions at all levels of the organization. Creating a positive customer experience is the essence of an omnichannel strategy. Focusing on creating a clear picture for them can be accomplished with some basic best practices. Website Design – Every channel must maintain a consistent experience, including a brand’s website. Customers should be able to easily access the information they need across all devices. If website visitors have a poor experience, it can seriously harm a brand in ways beyond just not contributing to the omnichannel experience. To overcome this, most websites have a responsive design that allows the website to recognize the device being used to access it and resize the pages accordingly. Inventory Visibility – By being able to show shoppers how much of a given product is available and where, retailers will be able to sell to customers in whatever way they prefer. Accurate and current visibility is achieved with Real-Time Monitoring Systems (RMS) that provide the data necessary for brands and retailers to accurately convey the proper information to customers. Expanded Fulfillment Options – In addition to showing where items are available, brands must actually deliver the products to their customers in the most convenient way possible. Whether it’s achieved by shipping directly from a store or even drop-shipping from a wholesaler, the main goal is to merge channels to get an item to a customer. A true omnichannel retailer would ideally never lose a sale because a shopper is unable to buy a product via the channel they prefer. Cross-Channel Promotions – Retailers should not offer promotions that are exclusive to one channel. In a common example, many shoppers become upset when they learn that their online promo code cannot be redeemed in-store. While this may have been clear in the fine print of the rules, it does not negate the fact that the shopper had a negative experience that can tarnish a brand’s image. Customer Service –Customer Service is a long-used tool that can make or break a business. The way in which store associates supply quality service changes with the transformation to omnichannel, as customer service should not only be available via one channel. Many retailers utilize Product Information Management (PIM) systems to recommend related items to further increase sales. The more information management can access, the better the decisions that can be made. Using advanced systems, data can be gathered and reviewed in near real time to help create a positive omnichannel experience for customers. Inventory Management – Proper inventory management can prevent overselling and underselling merchandise by allowing for the allocation of products between multiple channels. By analyzing how inventory moves throughout these channels, retailers and brands can accurately forecast sales for each item, as well as properly position availability to customers. Order Aggregation – By factoring in information such as distance to the customer, product location, order status and routing data, brands should be able to determine the best location to stock an item so it arrives at a customer as quickly as possible. Having easy access to print customer invoices, as well as picking and packing slips to create shipping labels, manifests, and provide tracking information further improves the ordering process by allowing associates to reroute orders when necessary. Customer View – Know your customer regardless of the channel. Dividing customer databases by channels runs the risk of double counting. By tracking and managing all customer interactions, customer service agents will more easily be able to efficiently help shoppers with their requests. 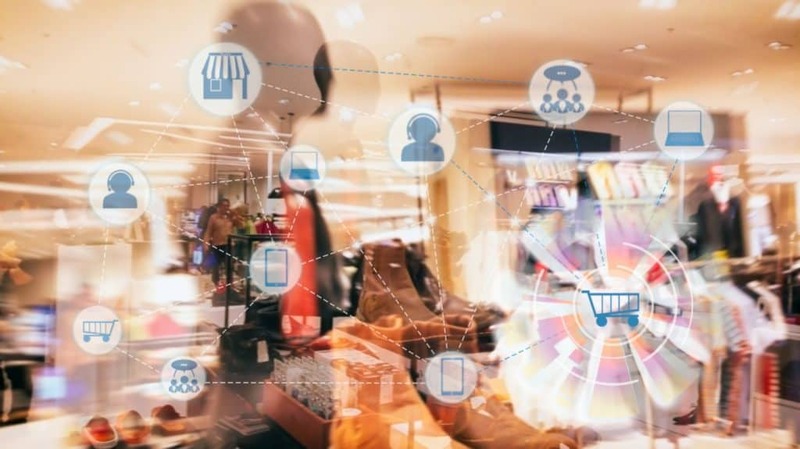 Enterprise Visibility – Utilizing digital and physical analytics to monitor all transactions and interactions across every channel allows retailers to meet the specific needs of shoppers to build both the in-store and online experience. Creating an omnichannel experience can be a daunting task, especially for emerging brands. Selecting an experienced third-party logistics (3PL) partner can provide you with the expertise you need to develop an effective strategy that creates a positive buying experience for customers. For more information on establishing a strong foundation for omnichannel, download Dotcom Distribution’s Step Into Omnichannel white paper. To find out how we can help support the omnichannel strategy for your brand, click here to contact us.